At Happy Moms, we work hard to ensure that dropping off your items is a FAST and SIMPLE process! PLEASE SIGN UP FOR A DROP-OFF APPOINTMENT! You will be able to sign up for appointments online while registrations are open. It's Easy! You will check "Select a Drop-Off Appointment" on your Consignor Homepage to view available appointments and to sign up for the best available time slot that works with your schedule. Appointments can be changed if needed while registrations are open. For questions about scheduling you can either use the contact page or SCHEDULE BY PHONE by contacting Allison at 336-543-0624. 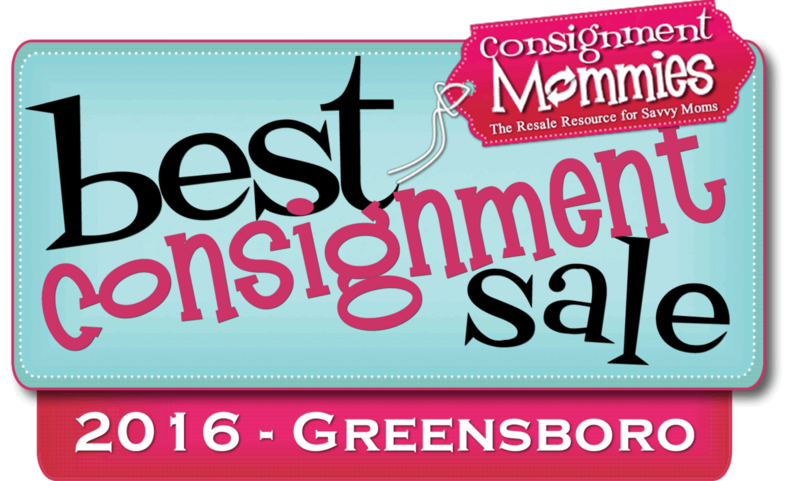 Register as a new consignor. Sign-up for a Drop-Off appointment. Check for recalls on needed items by visiting Consumer Product Safety Commission website or searching on our recall page. After you have worked to get your items prepped, please sort them by GENDER and SIZE. This will allow the process during your appointment to be much quicker. Carts and assistance will be provided to help you bring in your items. Drop-Off items will be inspected. (Please wait for inspector to check your items). Assemble any large items you may have & Place a Large Item Tag on your Large items (tags will be provided). That's It! We will also have supplies (pens, safety pins, hangers, tape, etc) if you forget last minute items or need help with an item for which you may have questions. You will have the options of picking up unsold items or donating to charity. ONLY the items you selected to donate (by checking the box while creating your tags) will be donated. (Item Entry and Tag Printing). Pick-Up is FAST & SIMPLE! You will sign-in, pick up your check, collect your items (which will already be sorted for you by your consignor number) and sign out! We will have a lost and found area and encourage consignors to look through it before leaving. We will also have some extra free hangers and pins...on a first-come-first-serve basis! Finally, because we will have limited time in the building we are leasing, all items remaining after 7:00 PM will be donated. Checks will be mailed to you within a week! You can pick up your consignor profit check during your scheduled pick-up appointment (Aug 25-27). If you do not make it to pick up or you have chosen to donate all items, we will mail your check to you within the following week. Please make sure your mailing address is accurate on your consignor homepage. NOTE: Someone other than consignor must show a valid driver's license to pick-up checks. To protect the consignor, checks will only be given to the consignor or consignor's spouse unless there is a specific third party authorized by the consignor during the drop-off appointment in writing.